Items valued at $1,300 were collected during the drive, which benefited 760 children in 19-area schools. After collecting the donations, 39 team members invested 10 hours sorting the supplies and delivering them to the organization to ensure the supplies would be distributed in time for the students to begin school with the tools needed to be successful. 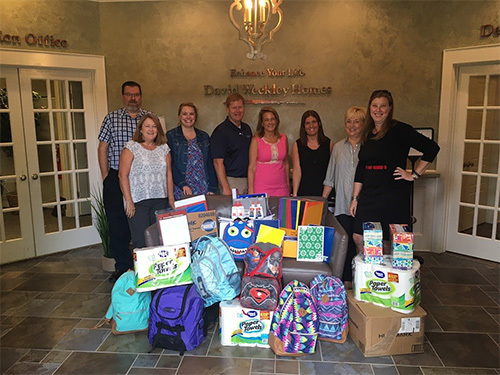 Team members from David Weekley Homes collected school supplies during the company's second annual Back to School Supply Drive to benefit 760 children through Communities in Schools. Communities In Schools is an organization committed to helping children achieve success through continued education.